When it comes to planning for advanced tooth replacement using dental implant supported restorations, the cost is one of the main factors that worry patients. 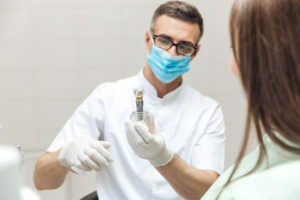 One big reason patients are concerned is that most dental insurance plans don’t cover the cost of the implant posts or their surgical placement. Luckily, insurance does cover part of the cost of other aspects of implant tooth replacement – including your new tooth or teeth. In this post, we’ll discuss some ways your dentist can help you to offset the cost of implant supported tooth replacement and why these restorations are worth the investment.